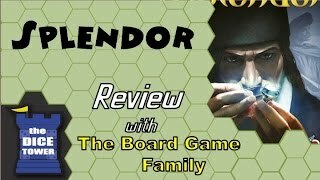 The OFFICIAL digital adaptation of the best-selling board game Splendor. The goal of the game is to build the most impressive jewel trade and become the best-known merchant in the world. 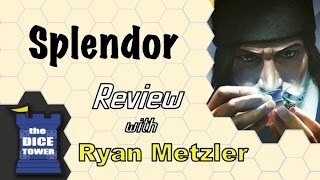 The player with the most prestige points wins the game.Splendor is an addictive strategy turn-based card game, where players assume the role of wealthy Renaissance merchants, exploiting mines and caravans, hiring craftsmen and leveraging their influence with the nobility. 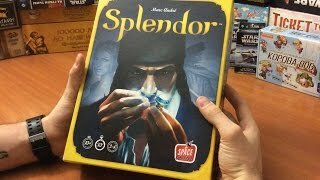 The goal is to get the biggest gem network and become the most influential merchant.Splendor recreates the exact look and feel of the best-selling board game Splendor which is a global hit, selling more than 200,000 copies in 30 countries and winning numerous awards (Golden Geek 2014 Board Game, Family Game of the Year, Origins Game of the Year, 2014 Meeples Choice). “Renaissance” graphical and musical ambiance.Splendor introduces a special game mode, called Challenges. Challenges are like chess puzzles. They put the player in a preset situation and challenge him or her to achieve a specific goal. The goal could be a number of points to earn, or a special card or combination to collect. Some goals need to be accomplished in a limited number of turns or in a limited time. Some goals could be trying to stick to an ideal path.Challenges are delivered in packs of 6. Each pack is labelled after a place on the globe: "Madrid", "Sahara", "Istanbul". With the 3 packs included in game, you have 18 challenges to master. Застрял на одном из уровней. 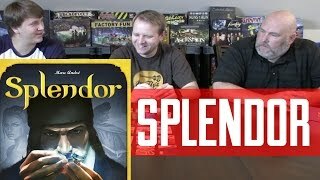 Как пройти "Splendor"? 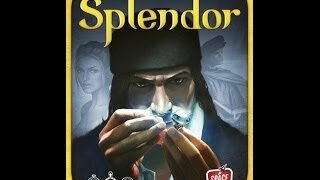 Почему "Splendor" не устанавливается? Скачал, но приложение не запускается, вылетает с ошибкой. Мой планшет работает на андроиде версии 6.0 Marshmallow, смогу ли я установить "Splendor" на карту памяти? 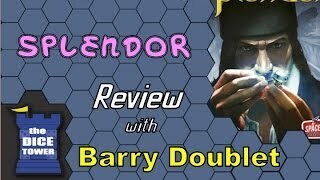 Как установить версию "Splendor" для ПК с Windows? В Роскоши вам предлагается взять на себя роль богатого торговца эпохи Возрождения. Вашей задачей будет наладить добычу и огранку драгоценных камней. И как знать, возможно, вы настолько преуспеете в этом деле, что один из дворян станет вашим покровителем. Доступные для покупки карты шахт, караванов и ювелиров располагаются на игровом столе, а рядом с ними выкладываются пять случайных карт дворян. Оценка 4,6 из 5 на основании 9076 голосов.